A logic analyzer is a device somewhat like an oscilloscope, in that it displays the waveforms of electronic signals on its screen. It differs from a traditional scope in that it captures data in memory for longer study of ephemeral events rather than only displaying what’s happening in realtime (modern capture scopes do this, too); it typically has many channels (8, 16, or more plus clock and other “meta” inputs) rather than one, two, or four; and it can be configured for complex trigger events rather than only the level of a particular signal. 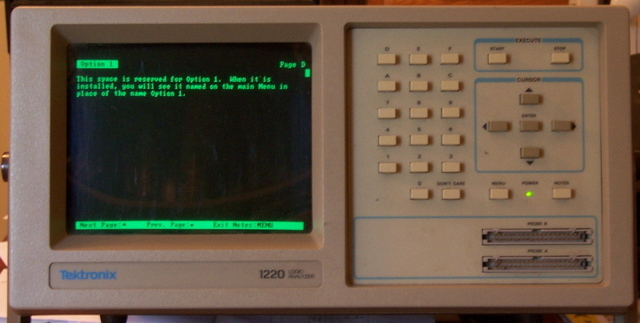 In short, a logic analyzer does for digital system troubleshooting what a scope does for analog signal work. It has text-based menus, online help, and a charming monochrome green screen. It’s built almost like general-purpose 6502 luggable microcomputer, with a big stack of signal handling boards in it. The only catch was, it didn’t come with any probes. 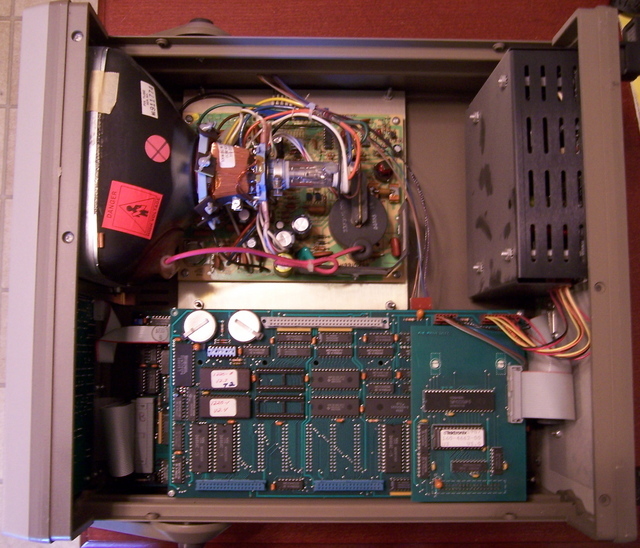 I was hoping at first that all I needed was ribbon cables to fan out from the dual-row headers on the front panel, but I couldn’t find pinouts anywhere (including online). I emailed Tek’s tech support asking whether they might still have pinouts available that I could download (since they no longer sell or support this analyzer and wouldn’t be losing any money on me), and I got an incredibly helpful phone call back from them. Their tech support representative indicated that the probes have active CMOS circuitry in them, so you need more than just pinouts; and he gave me the model numbers of three different probes that should work with that analyzer. I saved an eBay searched and waited, until a couple of weeks ago when one of them popped up and I bought it for about $25. There’s obviously a fair bit of circuitry in there that I wouldn’t expect to be able to duplicate, so I’m glad to have bought it. Now I still need cables to go from the probe module to the circuit being analyzed. 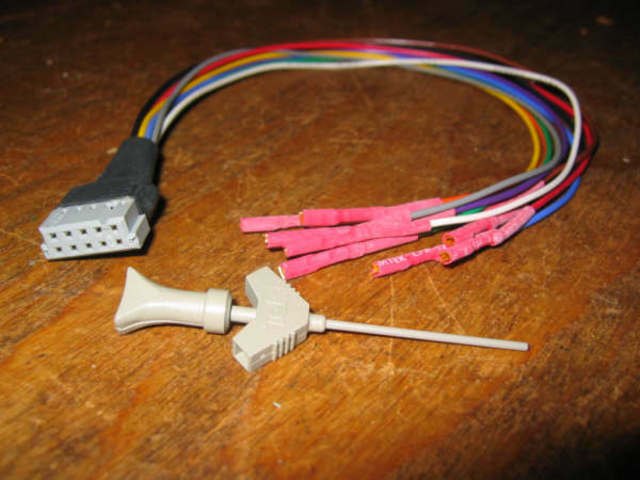 And after I received the probe module, the seller emailed me to say that in the same box as the module, he also had these connectors that went with it; did I want them for another $25? Okay, if he’d included them in the auction with the module they go to, he probably wouldn’t have got any higher bids. It’s his job to maximize his profit, so I suppose he’s doing what he ought to. But I feel like a guy who just negotiated to buy an antique auto out of a farmer’s field, only to be asked whether I’d also like to buy the engine that goes with it that I have over here in the barn. Yes, sure I’d like the wires that go with the probe module you already sold me; and at the same time, no, I really don’t feel like sending you any more money for something that really belongs with what I bought the first time. Furthermore, most of the time I’ll be using the analyzer, it’ll be with circuits on a breadboard, where I’m going to have to make my own cables terminating in pins anyway. 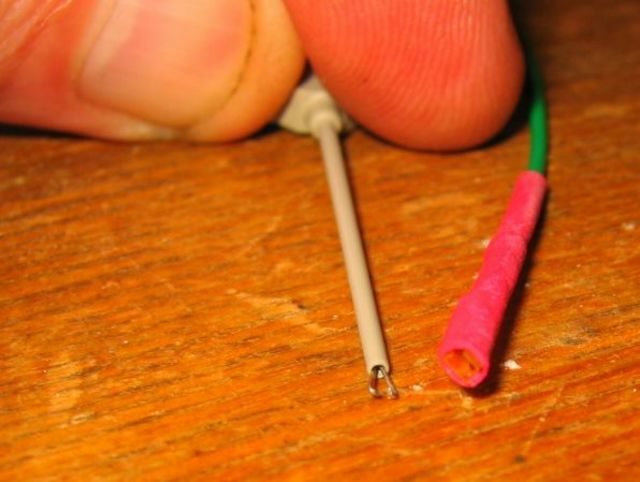 These probe tips have really cute grippers on them that are perfect for grabbing onto classic DIP leads, but useless on a breadboard. But I was still wavering, since I don’t know how to describe these tips well enough to save an eBay search that would pick them up, making this a rare opportunity to get something I might eventually want. I called Cort last night to ask his opinion, and the moment he said “troubleshooting your arcade games,” I knew what the answer was. I just sent the PayPal. Hacking Cell Phone Displays –> Travel Route Timer? I just ran across Jakob Selbing’s instructions on reusing old Nokia cell phone displays via the Make blog. And I just happen to have a whole box of dead phones from that model line; and they look like the interface is the same one as in his article. This opens a number of interesting possibilities. 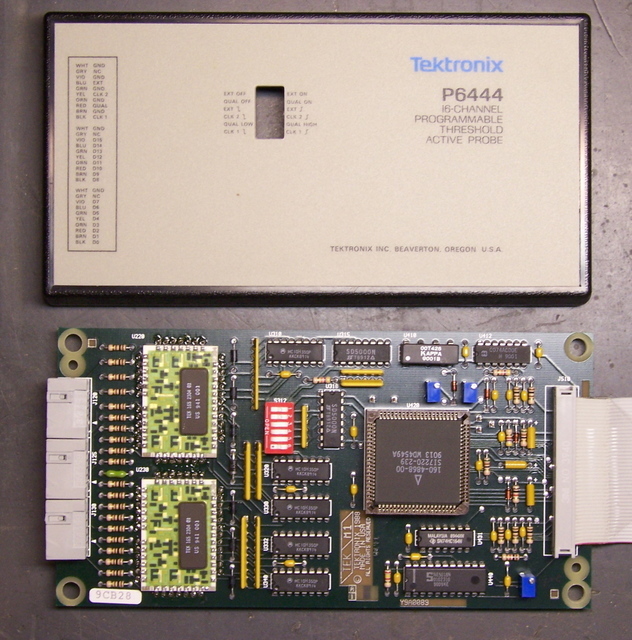 The display is 84×48 bitmapped pixels, and it has a very simple serial communications format. Jakob’s hack reuses the entire UI (display + keypad) board from the cell phone; but the display itself unclips from that board and could be used independently, by etching appropriate pads onto and cutting appropriate clip holes into a new PCB. My first thoughts were all the ways I could reuse just the display: for a digital thermostat I’d like to build, for status indication and debugging on robots, for status indication on a CNC drill/mill machine, etc. But this morning on the way to work, I thought of another project I would want to build into an actual entire cell phone case; leaving the keypad, display, and battery; and replacing the “phoneness” board with my own board. My grandfather kept meticulous logs of times and mileage whenever my dad’s family travelled, and all of Neufeld relatives count things. Seriously, when you get together with Neufelds, it’s perfectly common to hear us caculating how many bricks are in a wall, or estimating how many folding chairs are on the rolling racks in the corner, or determining how big the room must be based on a count of ceiling tiles. Some ten to fifteen years ago, I was driving to Tulsa as much as once a month to visit a friend who had moved down there. (You can see where this is going already.) It was about a three and a half hour drive, and I thought, wouldn’t it be great to have a little pocket device with some buttons and timers that would show me how long I’d been on the road, how far to the destination, and how far to the next landmark. I figured I’d enter landmarks on the device OR in advance, then have a list displayed on the trip timer and hit the “HERE” button as I passed each one. If there were room on the screen, it could show me landmark countdown time as well as remaining trip time. It’d need a set of buttons to indicate if I stopped at a rest stop or restaurant, to categorize that as non-driving time that might get counted toward estimates of total trip time but not toward time to next landmark. It would average up my actual road times every time I made the trip, and could develop more and more accurate predictions of trip time and variance. Etc., etc. At first, I had in mind that it would be a custom gadget. Then when Palm computers were invented and I got a Visor, I always hoped to write a PalmOS program to do it. Alas, it never happened. Now I’m seeing a new opportunity. Cell phones are a decent size to carry around, and they’re made relatively tough compared to other experimenter case options. The Nokias have an adequate display that I now have information on how to use, and there’s a keypad right there for indicating landmarks passed and maybe even entering the names of new destinations and landmarks. They even come with batteries and chargers! Plus the idea of taking out the middle PCB of the cell phone–the board that actually makes it a cell phone–and replacing it with a board to do something completely different really appeals to me. The only drawback I see is lack of an obvious way to sync it to a PC for offline landmark entry and persistent data storage and analysis. The specific incident this morning that made me think of this project was wondering how fast I was going. I’m test-driving a vehicle today, and it just had the speedometer sensor replaced. I drive the speed limit and am used to getting passed on the highway, but this morning it seemed as though I was getting passed a lot more than usual. I’d want this device to have a speed-check mode, in which I press the button every time I pass a mile marker, and it calculates and displays how fast I’m actually going. Rotary Phone == Alarm Clock ?!!! Independent of the LED clock project, I’ve been thinking of building myself a new alarm clock. . . . More on that in a while, after I receive some prototyping materials I’ve ordered. But tonight, watching The Animatrix, I got the wacky idea of making an alarm clock that uses a rotary phone dial for input to set the time. Pick up the receiver, dial the four digits for which you want to set the alarm, and bingo! Good to go. Rotary dialing to set time and alarm. Mechanical bell ringer for alarm–you won’t oversleep that baby! Pick up the handset for alarm functions. Take the phone offhook and dial a number to set the alarm. Alarm rings, lift the handset to silence the alarm. How do you tell the phone that you’re setting the time? It could accept dialing while the handset is on hook; but that just begs for people who walk up and twiddle with it to be randomly resetting the time. Maybe indicate it with a special dialing sequence like starting with 0 or 411? How do you display the time? Gotta have a four-digit display on there somewhere, and that’s totally gonna mess with the aesthetic. Oh well. Probably have to mount it through the lower front of the phone. How do you snooze versus shutting off the alarm for the day? Leave the handset offhook versus putting it back on? A rotary multi-line phone with lighted buttons across the bottom could be fun, as would a speech synthesizer to read the numbers to you in the handset as you dial. Spark Fun has done a rotary cell phone, and they wrote up the processes of interfacing to the rotary dial and switchhook and driving the ringer. Of course I’d write to ask permission first, but I’m sure I could use their work to build the pertinent sections of my clock. Now I just have to get my hands on a couple of old rotary phones . . .
You are currently browsing the Keith's Electronics Blog blog archives for August, 2006.